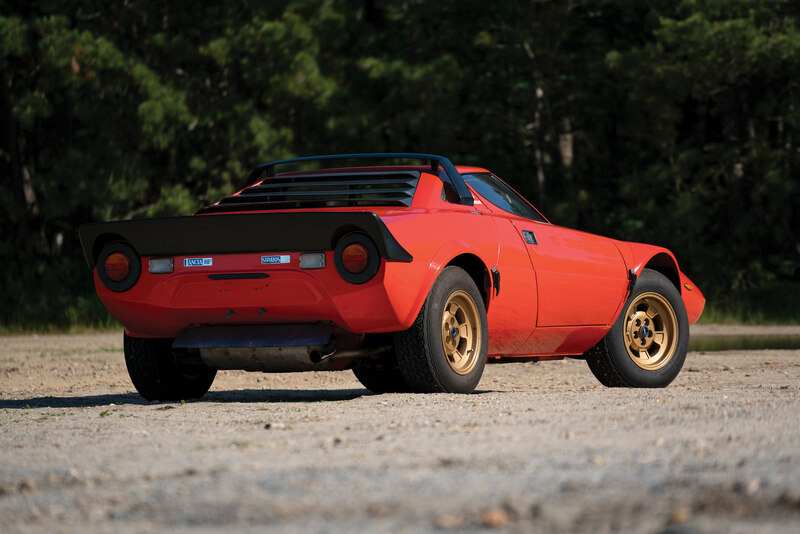 The Lancia Stratos was the first car designed specifically for top flight rally competition – developed by the all-Italian dream team of Lancia, Nuccio Bertone, and Marcello Gandini, with engines supplied by Ferrari. 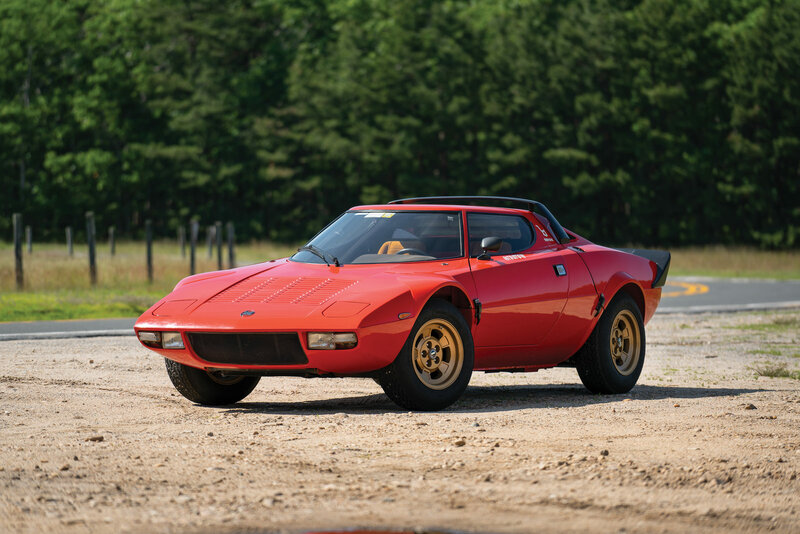 We remember the Stratos today as one of the most successful rally cars of its era, but its conception and development were fraught with difficulties, and it’s almost a miracle that the car made it both into production and onto the starting line of the great rallies of its day. The project to build the Lancia Stratos began when head of Gruppo Bertone Giuseppe “Nuccio” Bertone heard that Lancia were seeking to replace the aging Lancia Fulvia that they’d been using (with significant success) for rally competition. 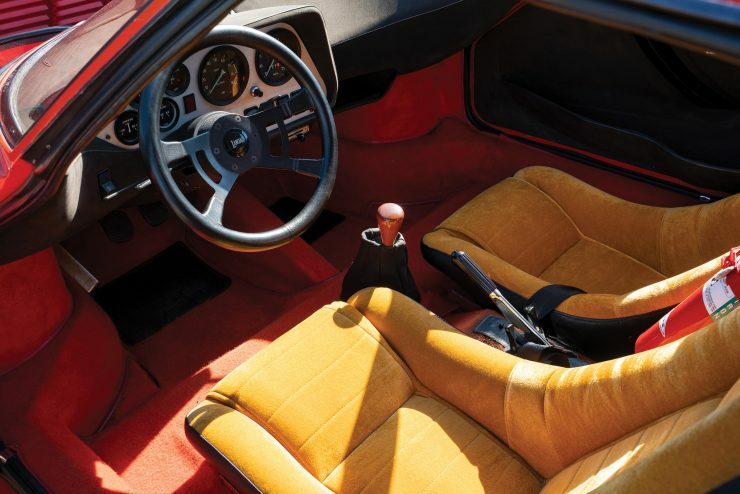 Nuccio tasked the head designer at Bertone, Marcello Gandini, to pen a revolutionary new vehicle that would catch the attention of the big wigs at Lancia, and to ensure they were suitably impressed, he had the car built on the running gear of a Lancia Fulvia Coupé. 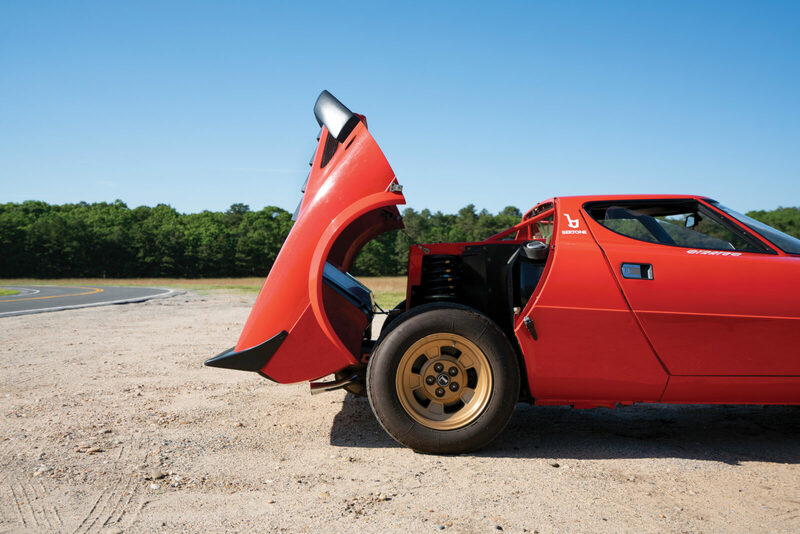 Gandini had already designed the revolutionary wedge-shaped Lamborghini Countach, and he continued down a somewhat similar path with the design for the Lancia Stratos Zero, albeit more extreme in its execution. 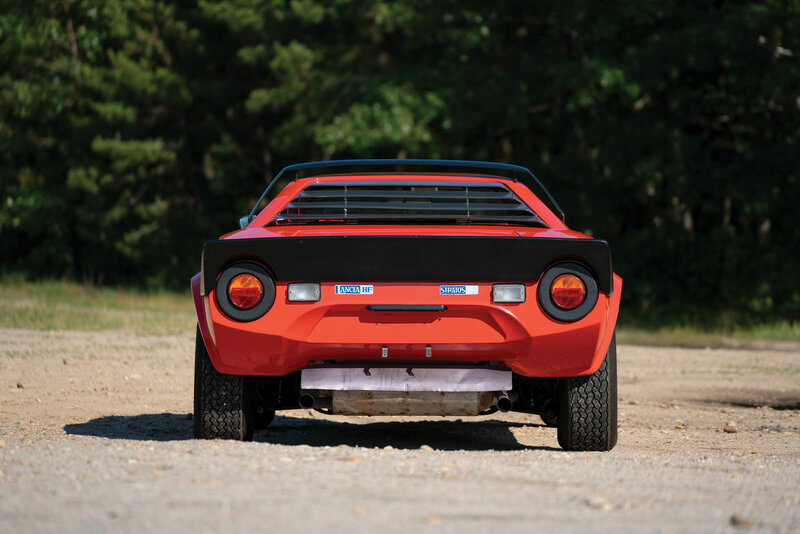 Once complete, the Lancia Stratos Zero was driven to the Lancia factory with Nuccio Bertone behind the wheel for its presentation – he stunned the awaiting Lancia management by driving the low-slung Stratos Zero right under the company boom gate. 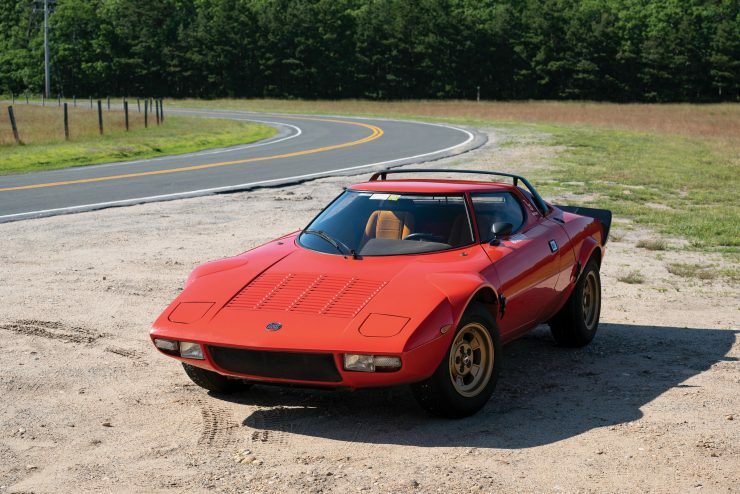 Hands were shaken and a deal was made to develop a world-class racing car using the design direction of the concept car, and Marcello Gandini set to work almost immediately. The development of the Lancia Stratos HF was almost entirely unbridled by the constraints of a typical production car. 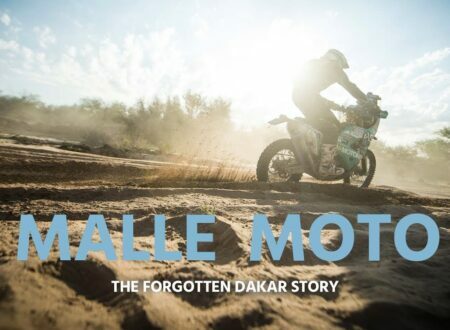 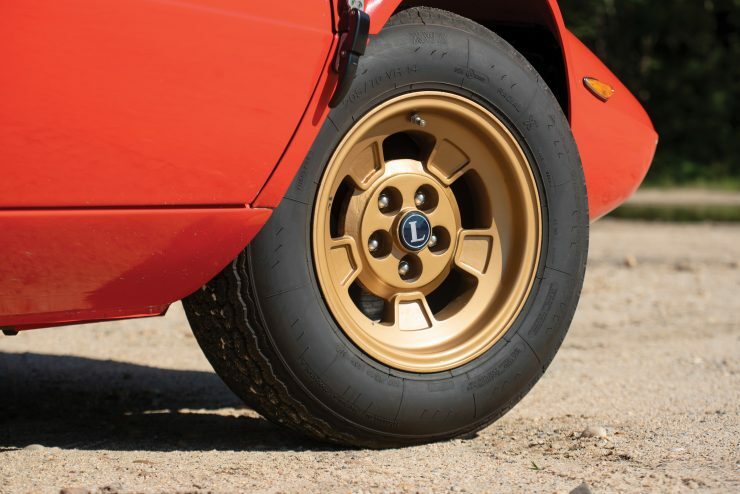 It was penned by Gandini who was working closely with the sports division at Lancia to give them everything they wanted in a world-beating rally car. The wedge and Kammback offered good aerodynamics, and great pains were taken to give the driver an almost perfect 180 degree panoramic view from the cockpit – thanks to a deeply curved windscreen that flows through slim A-pillars into the side windows. 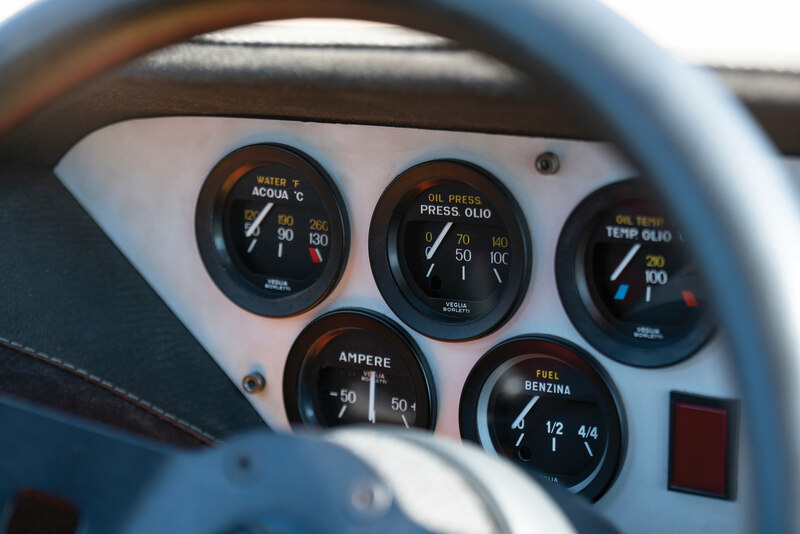 Rally cars spend a great deal of their time sideways, so this wide field of view is vital as it allows the driver to keep their eye on the road. 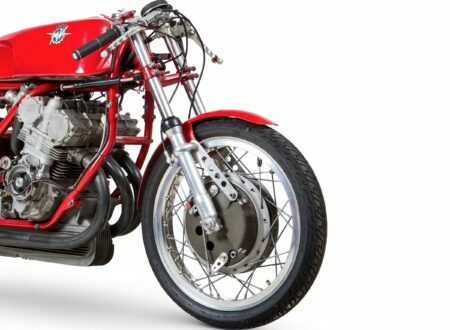 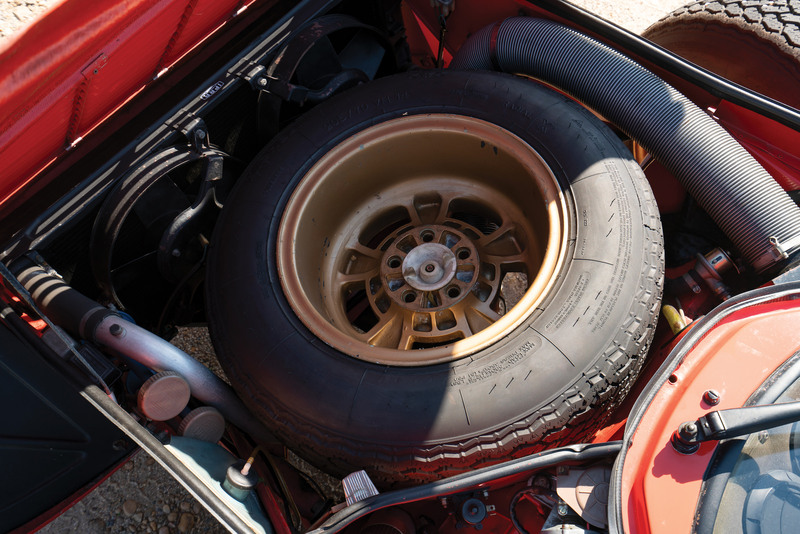 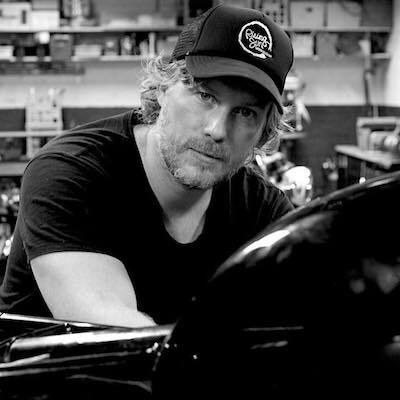 The core design was a central steel monocoque with front and rear sub-frames that bolt into place – this is ideal for cars that often suffer front or rear impacts, as you can remove the damaged sub-frame and replace it far more easily than you can repair or replace a full unibody chassis. 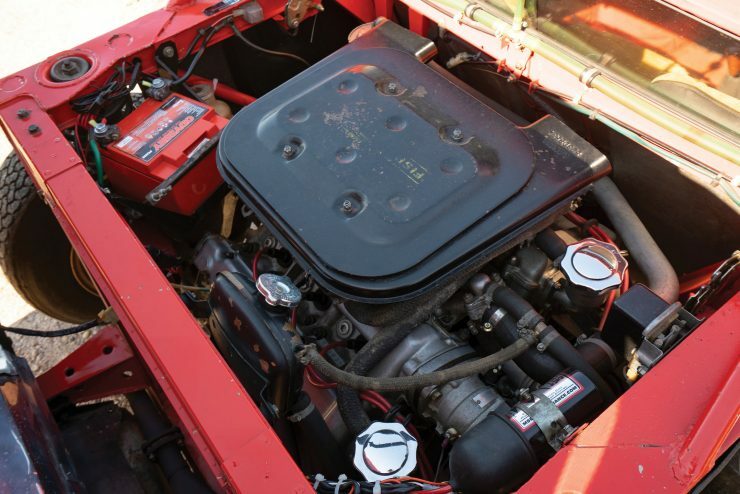 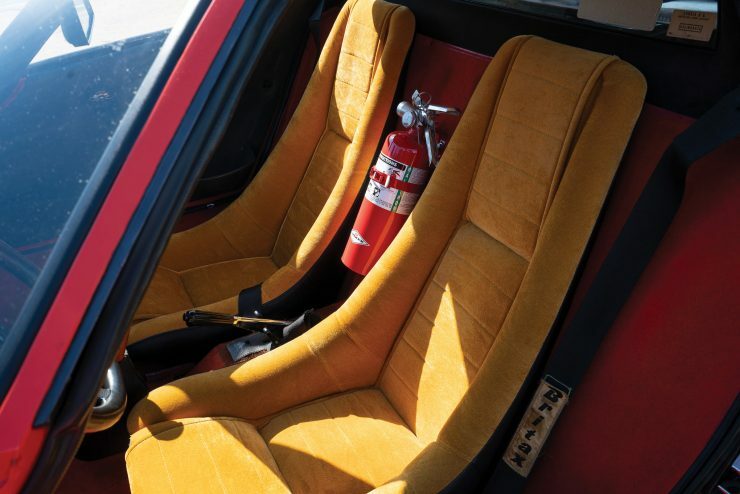 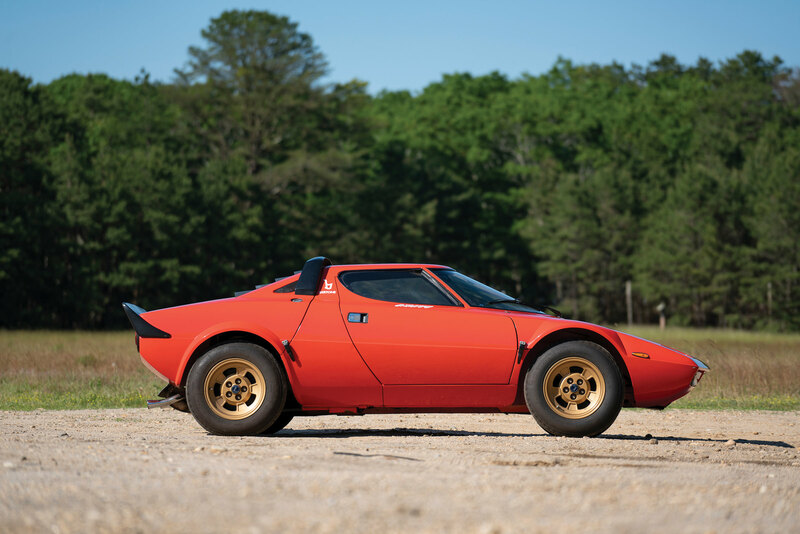 The engine was to be a modified version of the 2.4 liter Ferrari Dino V6, it took significant diplomacy to bring Enzo Ferrari around to this idea, as he was concerned about the Stratos competing with the sales of his own cars. 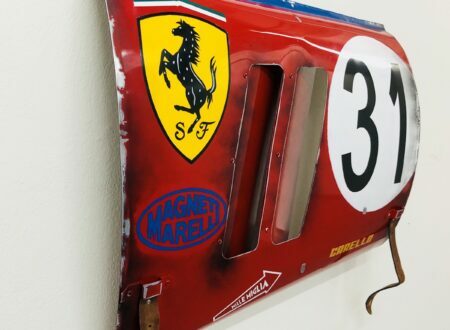 In the end the wrinkles were smoothed out, and Enzo agreed to supply 500 engines – the exact number required to homologate the car for Group 4 racing. Once unleashed the successes came thick and fast for the Stratos, it won the 1974, 1975, and 1976 World Rally Championship titles in the hands of Sandro Munari and Björn Waldegård, with additional wins in the 1975, 1976, and 1977 Monte Carlo Rally. 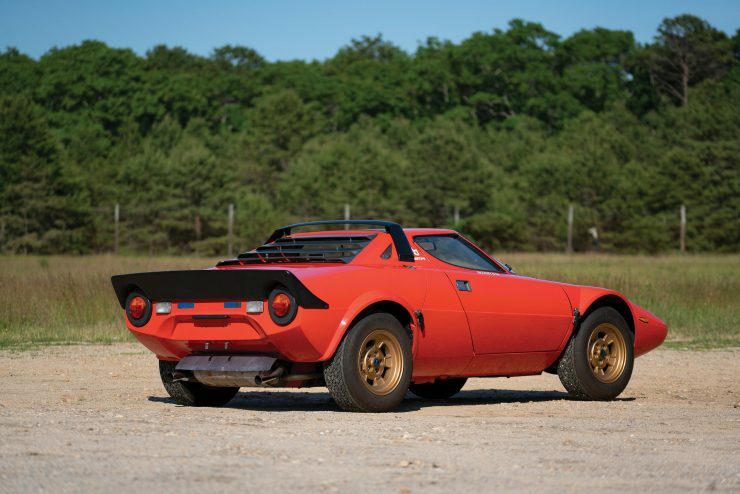 The full list of wins enjoyed by the Lancia Stratos is far too long to list here – suffice to say the car was utterly dominant, and it ushered in a new era of rally car designed from the ground-up for rally competition. 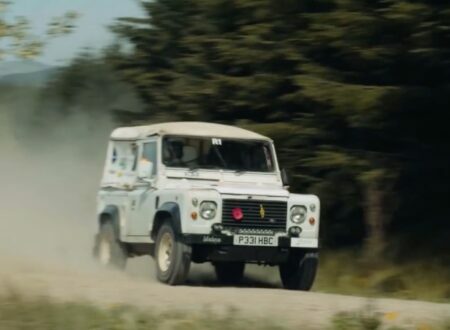 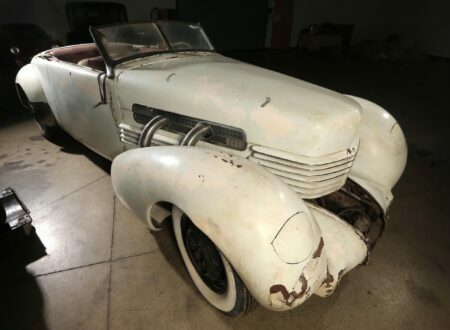 The car you see here is one of the nicest survivors left anywhere in the world, it’s an original example that hasn’t needed a restoration, largely due to the fact that it has just 6,440 kms on the odometer, and it’s always belonged to conscientious, fastidious owners. 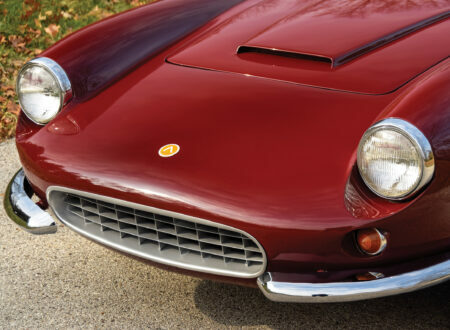 Over the years the car has been carefully maintained, and today it presents in beautiful and fully-functional condition with its original paint, wheels, and interior (original seats accompany the car but were removed for preservation). If you’d like to read more about this Stratos or register to bid you can click here to visit the listing on RM Sotheby’s.